Goodbye forever dandruff today's Article is all about the How to get rid of dandruff or dandruff treatment done at home now before we get to talking about dandruff you've got to understand two kinds of dandruff the first kind is where white flakes just fall off your head it's not really harmful ,trust me it's not all that bad but dandruff might just be an embarrassing problem to have but the second kind of dandruff is called seborrhoeic dermatitis this is wet dandruff those white flakes are accompanied by severe itching in your head area that's your scalp region and also the areas around your hairline including your yours you get boils you get rashes you get a lot of irritation if you're suffering from supporing dermatitis don't Read this article go to a dermatologist but for most of us dandruff can be cured with these four Tips. So firstly you've got to understand how dandruff is formed dandruff is formed basically because your scalp is a very active environment it's constantly producing skin cells the skin cells are produced and then they die, if your scalp is also very oily then the skin cells will collect together mix with the oil and form those white flakes that fall off your head when you're suffering from dandruff so, here's what you've got to understand and do the dandruff might be caused because of too little or too much oiling, too little or too much shampooing and too little or too much conditioning. if you want to oil your hair make sure you own it at least two to three times a week . · Oil - If your scalp gets too dry that adds to the dead skin cells oil is basically like fertilizer for your scalp so, make sure you're oiling your hair at least two to three times a week but no more than that. · Conditioners - conditioners are oil based substances so if you use too much of it ,it may your scalps oily once again so make sure you're conditioning it every time you use your mild shampoo don't overdo it don't under do it. 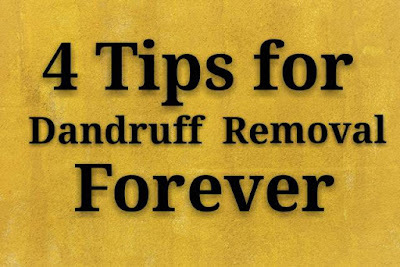 But very importantly a lot of people suffer from dandruff because of excess hair product usage now when you're applying your hair product that's wax, gels, clays, serums, creams, all of it and this applies to both guys and girls make sure that the hair product doesn't come in contact with your scalp it's supposed to be applied to the body of your hair if you apply it to your scalp that increases your dandruff problem. Care about your environment because at the end of the day dandruff is an infection so firstly get your dip pillowcases, in antiseptic soap mixed with water same with your combs and brushes that you regularly use and with all kinds of headgear that's caps, hats, helmets and girls follow the same with there head gear like hair band or hair clips etc. If you live in dusty area always use caps, or cove your hair with cloth from outer environment of city pollution. Firstly understand skin pH your skin pH is 5.5 that's a term from chemistry without getting that your skin is slightly acidic If your skin is acidic that's a good thing because it kills all the harmful bacteria and infections on your skin, it's kind of like a protective layer almost now what you've got to remember is that people who suffer from dandruff the pH of their scalp is slightly off it may not be as acidic as it should be so lot of anteed and of products and shampoos said that pH right they make it slightly more acidic and that's where the science of home remedies comes in any kind of natural product that slightly acidic will help you cure your dandruff so think of home remedy like remedies which can help you combat dandruff . Tips 1- Take four tablespoons of coconut oil in a frying pan while it's heating add one piece of camphor mix it well let the oil cool down till it becomes lukewarm massage your scalp with this oil and leave it as it is overnight. Tips 2.- Take two tablespoons of fenugreek seeds also known as methi soak it in water overnight ask this mixture to receive and collect the seeds, and wash with mild shampoos. Tips 3 – Use apple cider vinegar make sure you're getting organic apple cider vinegar where it's written with the mother on the box of the apple cider vinegar and then mix it with a little bit of water make a slightly dilute solution of apple cider vinegar and apply it onto your scalp it help to maintain you PH level of scalp which reduce the dandruff. If you're suffering from dandruff you have to use an anti dandruff shampoo at least once a week but most anti dandruff shampoos contain sulfates, parabens and other very harmful chemicals that will spoil the quality of your hair in the long term that's why I recommend to use shampoos like khadi or you can use khadi shampoos best Alternative.